First of all, why would you need to build a plugin in the XrmToolBox? Isn’t it what the Visual Studio is for? I think the answer is “yes and no”. See, if you are a developer and have all the tools.. you probably don’t need to read this post (other than out of curiosity). 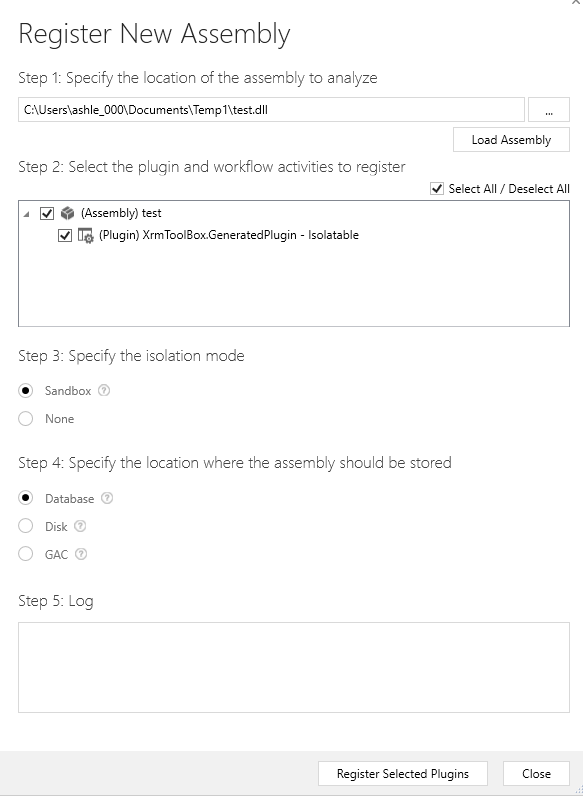 But, if you are a Dynamics administrator, or, maybe, you are a developer who just needs to create a plugin quickly while you are away from your work computer.. Whatever the reason is, if you do need to create a plugin for Dynamics, and if you don’t have Visual Studio installed, you can do it with the CodeNow plugin easily now. 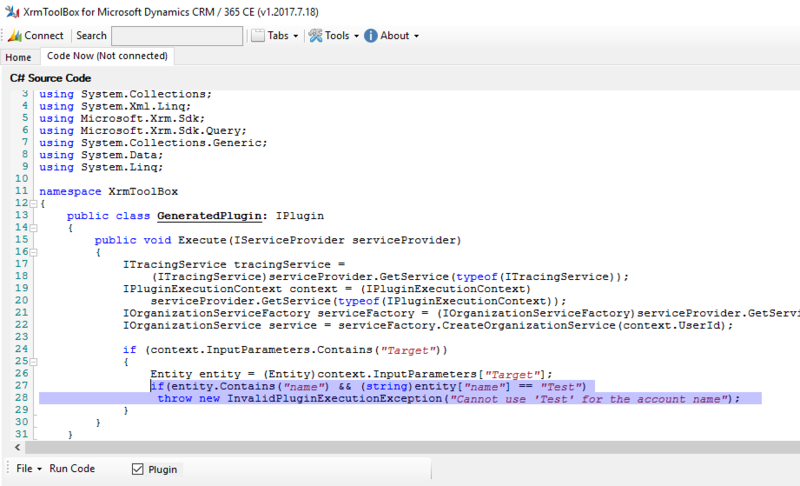 In this post, I’ll walk you through the steps required to compile a plugin in XrmToolBox. 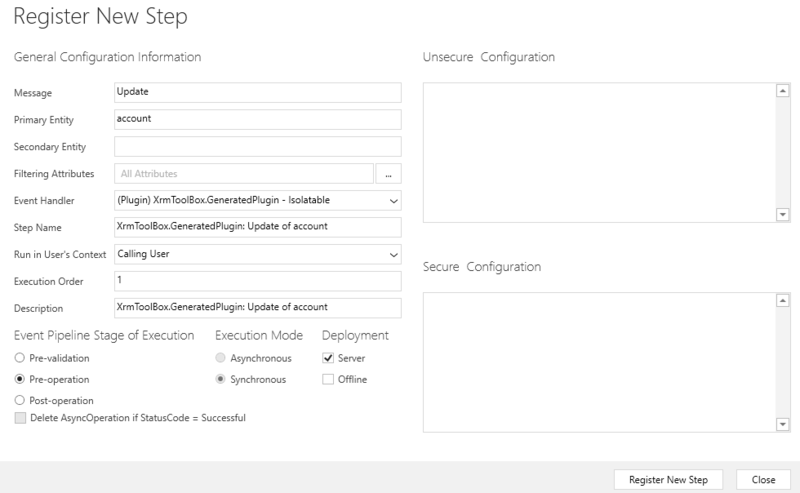 Once you have selected the checkbox, CodeNow will display sample plugin code. You can actually use “Compile” command to compile plugin dll at this point, but it won’t, really, be very functional yet. 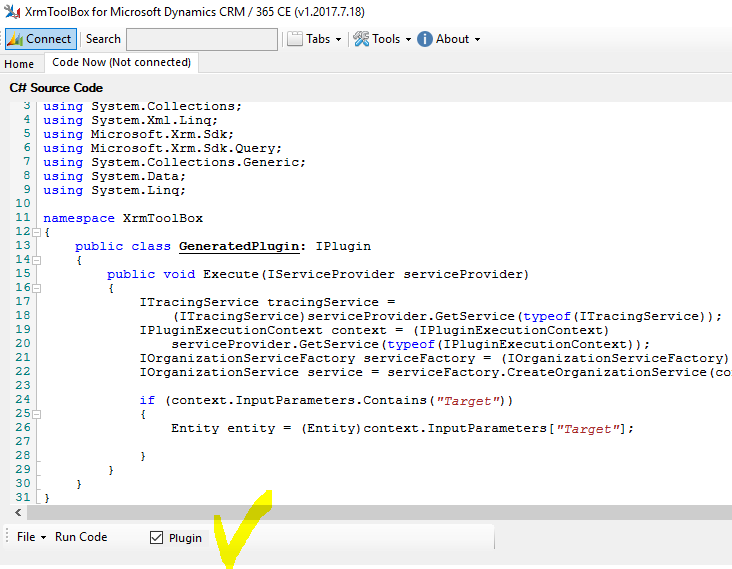 However, that sample code has all the basic code you need to start with..
4. It’s time to compile the plugin? Worked out just as we planned!